HTC just announced three new smartphones at MWC that push the company’s custom Sense UI onto some of the best hardware around. The Desire and Legend are destined to become the two hottest Android phones on the market, and, well, the Windows-Mobile-powered HD Mini tries its best. Sense UI is also seeing an update, becoming ever more social-media-focused. 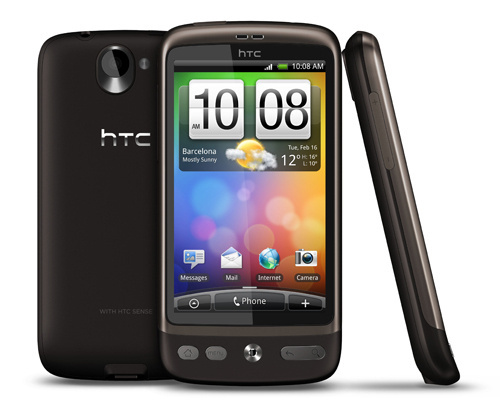 The HTC Desire, pictured above, is the answer to everyone who loved the sleek design and top-of-the-line muscle of the Nexus One, but who wanted HTC’s superior Sense UI skin–because that’s pretty much what it is. The Desire has the same blazingly fast 1GHz Qualcomm Snapdragon processor, the same gorgeous 3.7-inch capacitive AMOLED touchscreen, the same better-on-paper 5.0MP camera, and the same adequate 1400mAh battery. It does swap the Nexus One’s curiously redundant trackball for an equally redundant but flashier optical trackpad, and it replaces the Nexus One’s touch-sensitive buttons with clicky tactile ones. screen. It’s the follow-up to the Hero, and could replace both it and the Droid Eris. HTC hasn’t announced pricing, carrier compatibility, or release date for either the Legend or Desire, besides “this year,” but when they are released, HTC will have three of the top four Android phones on the market. 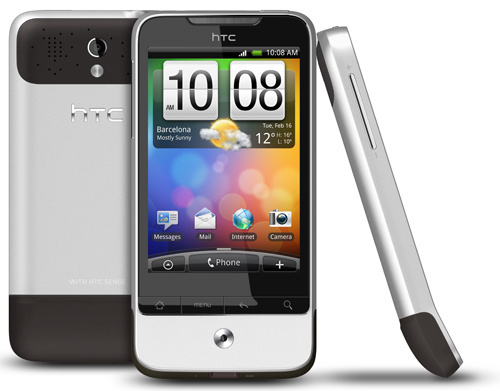 With the Google-branded but HTC-made Nexus One, that leaves only Motorola’s Droid as a legitimate non-HTC contender for your Android dollar. 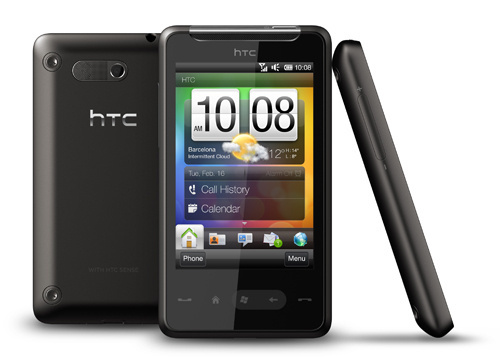 The big change with the Legend and Desire is the addition of Sense UI, HTC’s deep overhaul of the stock Android interface that affects everything from the basic homescreen to the music app. Sense UI is widely beloved as prettier and more feature-packed than stock Android–it offers, for example, native multitouch and more homescreens–and the Nexus One’s hardware is still the best around, so, you know, this is pretty much the tops. There are two notable changes to Sense UI as it hits Android 2.1: first, FriendStream, which collects updates from (at the moment) Facebook, Twitter, and Flickr and puts them all in one place for your social media consumption pleasure. Leap is a UI change, sort of like Mac OS’s expose: A gesture reveals a thumbnail of every homescreen on your phone, making it easy to jump between them without swiping. Back to hardware! The HD Mini is the odd man out in more ways than one–not only is it the only Windows Mobile device here, not only is it the puny little brother of the behemoth that is the HD2, but it was also announced one day after Microsoft officially killed its base operating system. It’s a fine phone, to be sure; the screen is small at 3.2 inches, but the entire phone is also pleasantly teeny, and Sense UI does its best to make Windows Mobile 6.5 tolerable. But who’s going to be interested in a mid-range phone that’s just had its legs taken out from under it? Windows Phone 7 made the poor little guy obsolete before it even had a chance. HTC even announced that they’d be developing WinPhone7 devices–no surprise, given HTC’s support of Windows Mobile through thick and thin, but it leaves the HD Mini out in the cold.